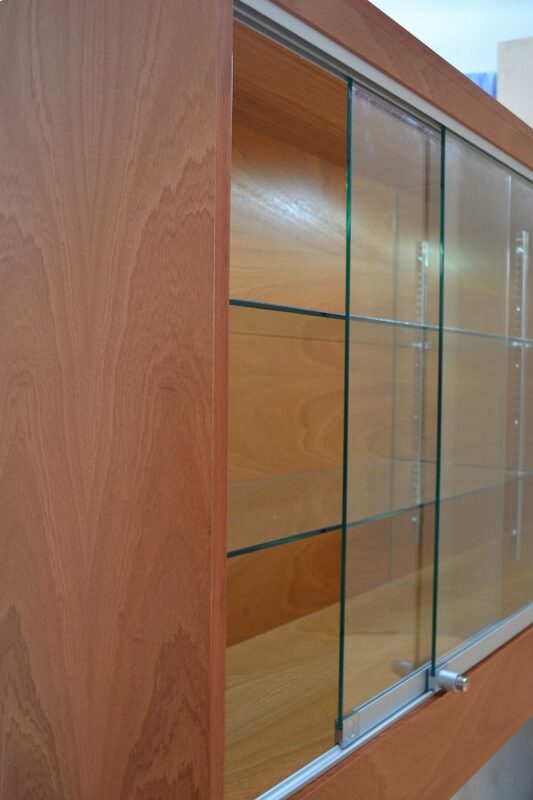 Stunning bespoke wall cabinets made to fit your own requirements. 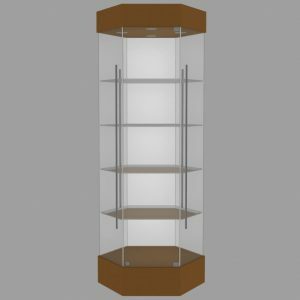 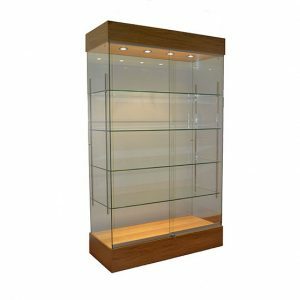 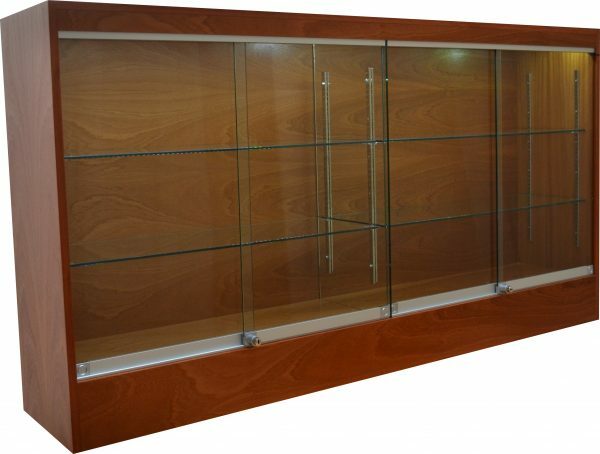 If you are looking for a wall mounted display cabinet, we can certainly help! 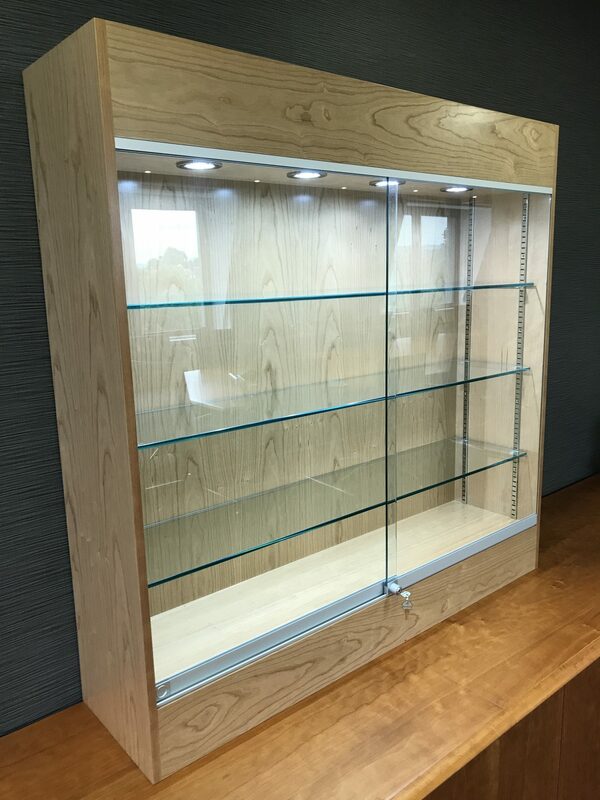 As all our timber display cabinets are made to order, we can make a cabinet to fit your available space exactly. We generally keep the depth (front to back) to a maximum of 300mm so they don’t protrude from the wall too much. If you don’t see exactly what you’re looking for, please contact us to see if we can make what you do have in mind. 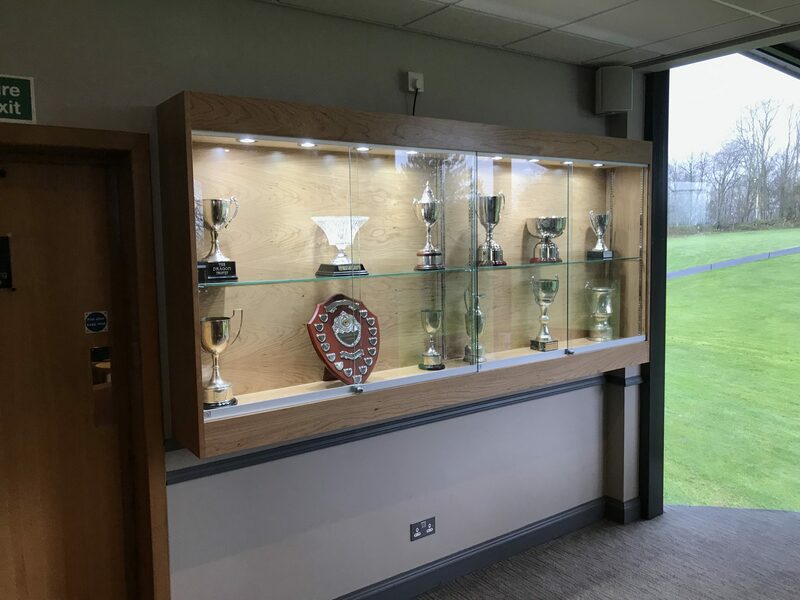 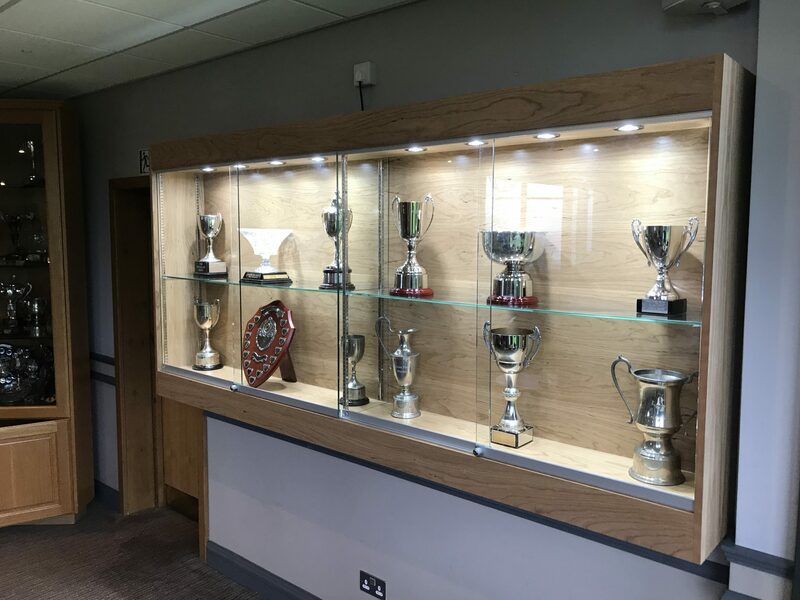 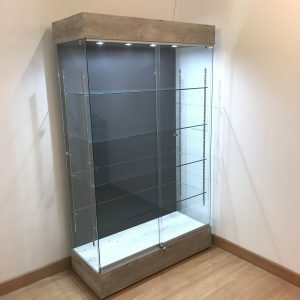 Make sure the wall is both flat and level, and solid enough to fix the cabinet to securely, as they can be quite heavy especially once loaded with glass and trophies. 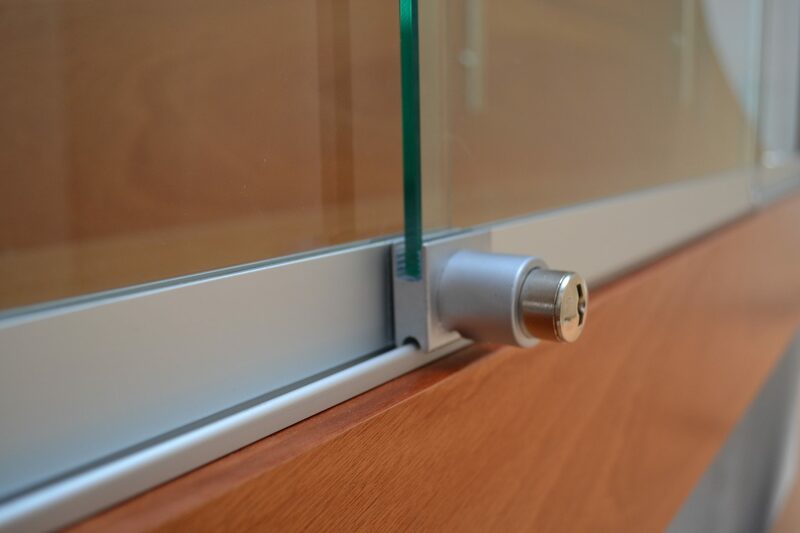 We can also incorporate aluminium profiles for a unique look.…Please ask! 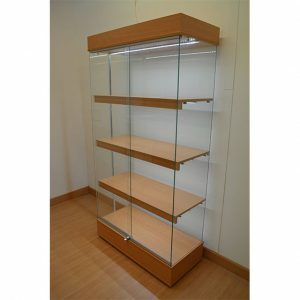 If I choose lighting, Where will the mains cable exit the cabinet? 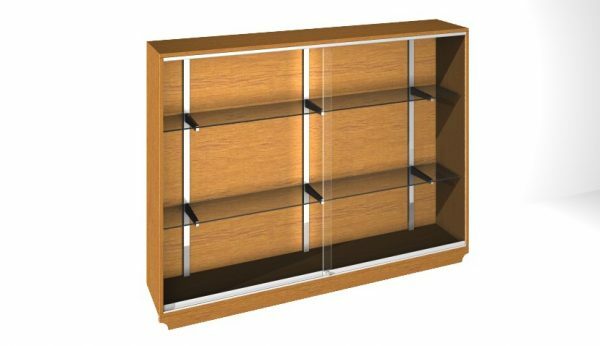 Answer: The cable will usually come from the top of the cabinet. 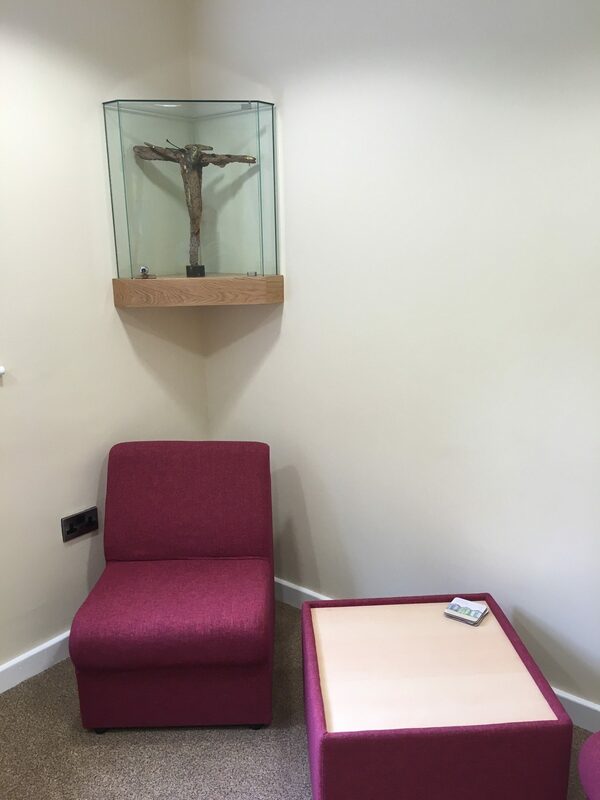 Ideally the plug socket will be above the cabinet. 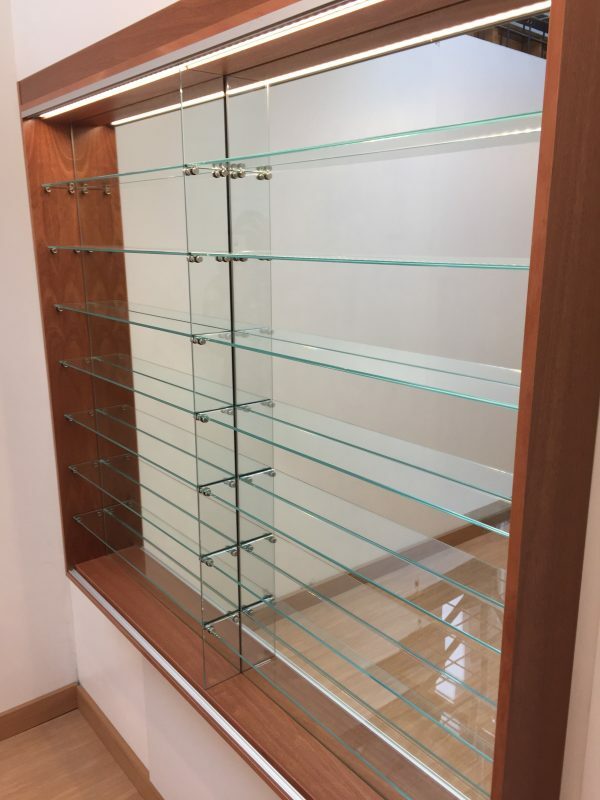 We usually put a light switch on top of the cabinet for ease of use.